Today was Day #4 of Chocolate and Hazelnut Theme Week. 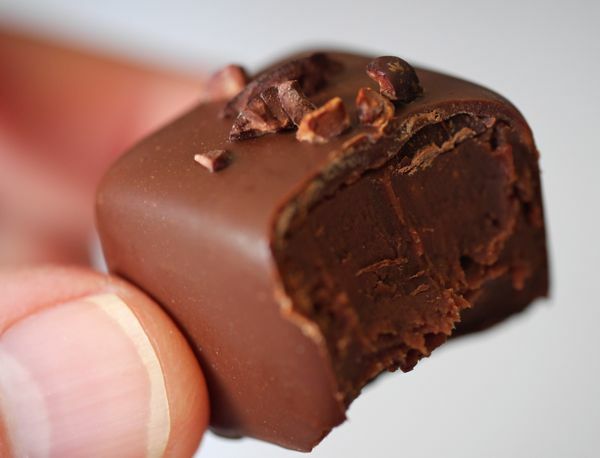 Northern Italy is known for its fine hazelnuts and gianduia (chocolate and hazelnut) blends, spreads and fillings. 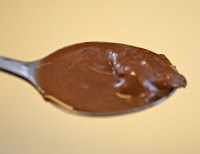 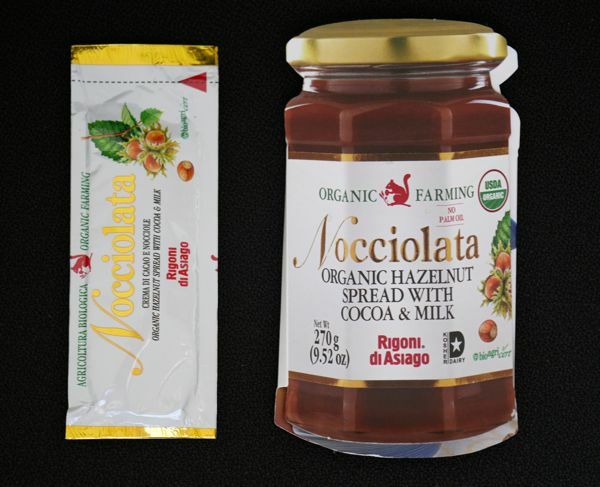 Today's Nocciolata (organic hazelnut spread) from Rigoni di Asiago (Foza (VI) Italy) was creamy, sweet and full of balanced hazelnut and chocolate flavor. This spread was perfectly enjoyable a la carte, on/from a spoon, and as a spread. I also enjoyed three different filled chocolates from a Gate Comme des Filles (Somerville, MA) holiday collection. 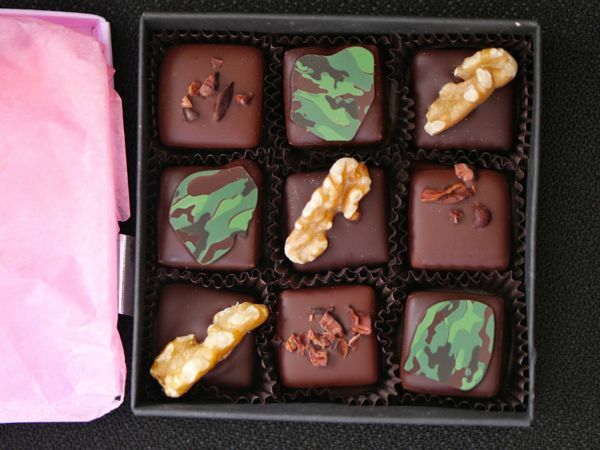 Part of a nine-piece assortment box, these honey walnut, garden thyme, and coffee and cacao nib brittle chocolates were all very good.